Best Practice Yangqin for beginners with a budget. The Yayun 401 Practice Yangqin is smaller than its regular Yangqin relatives. With its longest side 93 cm in length, Yayun 401 Practice Yangqin is at least 20 cm shorter than the regular 401 Yangqin. Visually appealing, the Yayun Yangqin is made of Fine Selected Woods with a smooth hand feel. 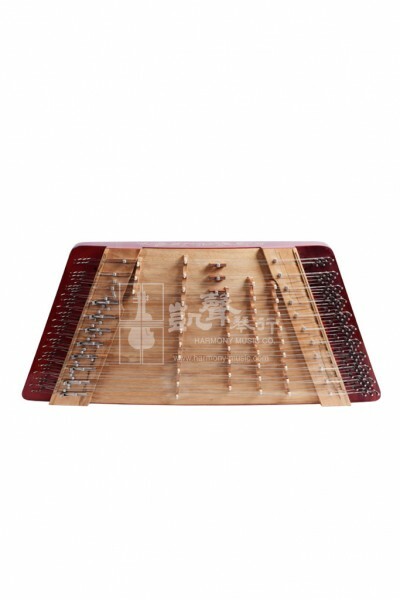 Accurately carved bridges and numerous cylindrical metal nuts for further fine-tuning have enhanced the pleasant sounds of the Yayun Yangqin, thus making it one of the most popular Practice Yangqins for beginners who want to try out the instrument, or are just simply looking for a more portable Yangqin. It may also be played in Cantonese Opera accompaniment. Comes with a stand, Yangqin beaters, Yangqin Bag and Tuning key, the Yayun Yangqin is well-accessorized so that you can play it right off the bat upon receipt, as it is tuned by our experienced specialists before dispatch.